In an increasingly mobile world, 2 in 1 devices are the natural evolution of laptop, notebook, and tablet technology towards powerful and highly functional personal devices. 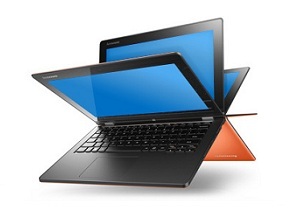 The flexibility of 2 in 1 hybrids make them ideal for personal, family and business use. Will you be using the device for home, office, or travel? Do you need flexibility for a varied and ever changing lifestyle? How important is connectivity to other devices or networks? Do you intend to use the device for long periods away from a power source? Are you going to be operating the device mostly in hand or on flat surfaces? Can most of your activities be satisfied with touch screen functionality? Will you be running complex software, such as graphics or gaming applications? Attached keyboard design for 2 in 1 tablets offers the utility of a touch screen and keyboard, but also allows for tablet mode without losing functionality. 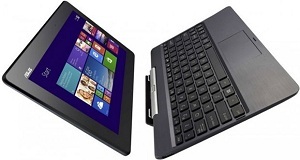 Keyboard docks with detachable touch screens offers light-weight portability with full Windows 8.1 functionality. 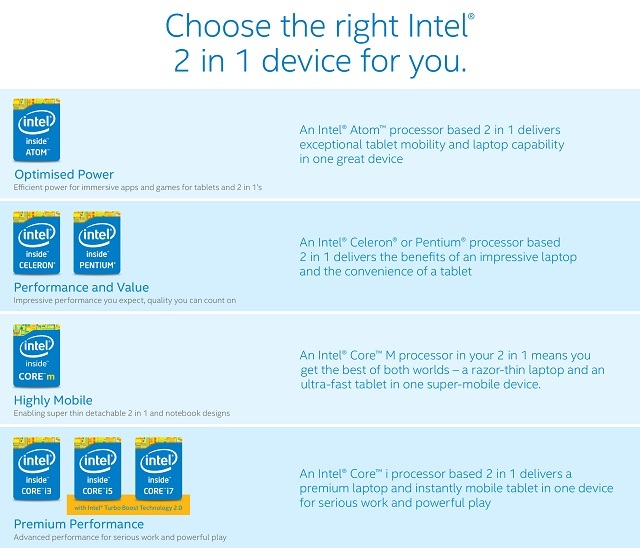 What is the best 2 in 1 for you? 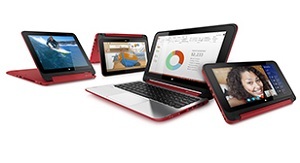 Most 2 in 1 hybrids are designed to run Windows 8.1 in both notebook and tablet mode, while providing the necessary performance for tasks such as emailing, social media, web browsing, music, movies, education, gaming, and more. Sophisticated Software - Professionals and students who intend to use their 2 in 1 hybrid to run complex software will need to consider powerful processor and large random access memory (RAM) for running sophisticated applications. Office & Admin - In domestic and business use, most 2 in 1s are sufficient for the task. You may need more processing power for some accounting software, but generally the most important question is how you will use the device around the office. Corporate High Flyer - Corporate professionals need to consider factors such as connectivity (to networks and other devices), ease of use in presentations and meetings, and practicality of design when travelling. Battery duration may also be important. Please check with our customer services or sales staff for additional information, or refer to specifications tab on product pages.